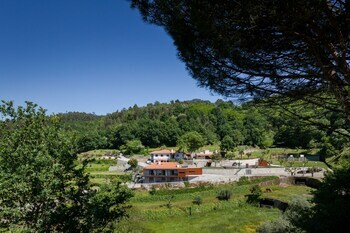 Located in Vouzela, Quinta do Fontelo is in the mountains, within a 15-minute drive of Termas de Sao Pedro do Sul Town Square and Termas de Sao Pedro do Sul Hot Springs. Featured amenities include express check-in, dry cleaning/laundry services, and multilingual staff. A roundtrip airport shuttle is provided for a surcharge (available 24 hours), and free self parking is available onsite. With a stay at Torre Velha in Albufeira, you'll be within a 15-minute drive of Zoomarine and Castelo Beach. Featured amenities include a computer station and multilingual staff. Located in Ponta Delgada, Casa Villa Garden is by the sea, a 5-minute drive from Praia do Populo and 6 minutes from Milicias Ocean Beach. Free self parking is available onsite. With a stay at this villa in Vilamoura, you'll be close to Oceanico Old Golf Course and Vilamoura Marina. Free self parking is available onsite.